The Kindle Magazine Biannual "What The Jaguar knows We Don't Know" success celebration with the bard Gulzar in Kuchh Aur Bhi Hogaya Numaya,In The Light Of Gulzar's Poetry in Kolkata City. 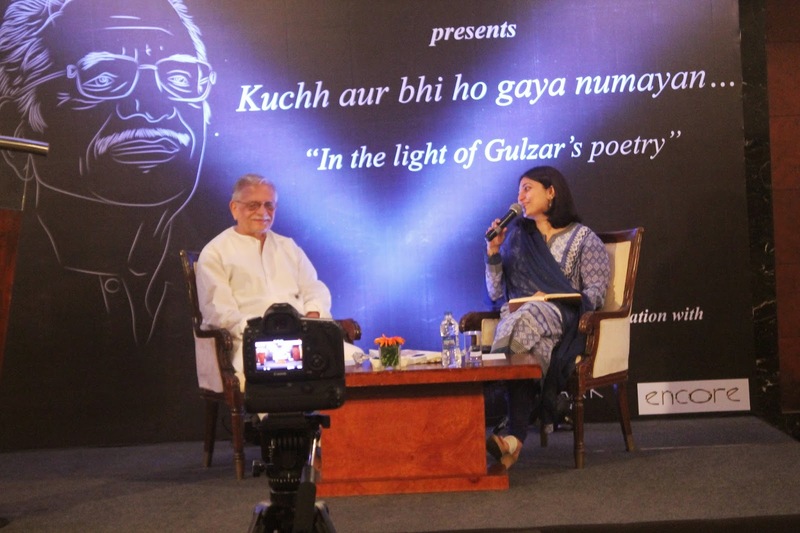 When we read the celebrated Poet Gulzar, a surreal world of poetry greets us and leads us to his world. He presents the various aspects of this world and the world above us like a philosopher and enchants us in this magical realm of poetry. 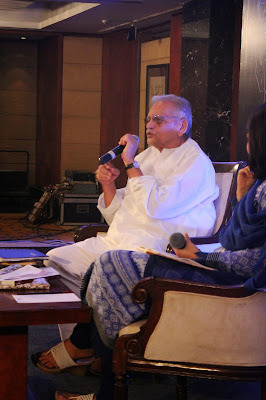 lyricist and filmmaker Gulzar in a heart to heart conversation. right choices which has left a mark on readers who are addicted to it like us. Excited poets, poetry lover and Gulzar fans had waited for the Kindle Magazine presentation to bring inspiration to them which saw people from all walks of life gathered under one roof to celebrate poetry. 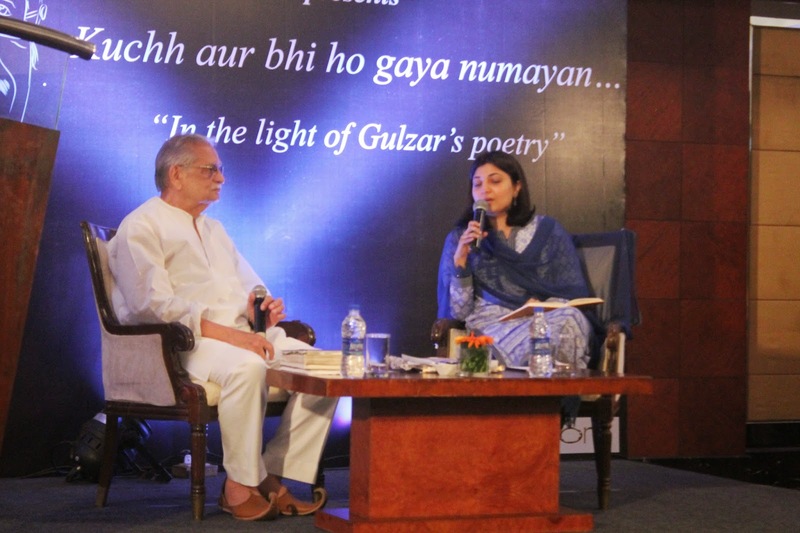 Gulzar exclaimed about 'Kaal' as something that cannot be controlled. 'Time' is bigger than all of us and our life is limited. This evergreen quality of Time which has surpassed Life and Death has been shaped in many of his works and life he believes is actually lived in these few moments of Time. What a subtle thought? Life lived in few moments.We were mesmerized by his portrayal of Time.These few moments can arise from various experiences of life and certainly we are not living,we are just breathing, these few moment or 'lamhe' as Gulzar states when gathered proves how we have lived our lives. Meine jism ka khaul uttarkar sopdiya aur rooh bachali"
And the moment he read it, the audience applauded like it was an urdu poetry session(musaira) and the Poet (shayar) ,Gulzar Sahab was mesmerizing the gathering(mehfil) with his experiences and poetry(naazm). His lyrics too have made many a soul sing it in their hours of happiness and sorrows.It's like many generations have found and identified with his songs.He believes in bringing out the element of expressions in his works. When asked if Urdu is still thriving, he was happy to inform to the audiences that in movie songs or scripts almost 90% of the expressions is urdu. Urdu is still living among us as it has taken a new shape and evolving with us.So any given language can sustain provided it shapes itself with the changing times. He finds lyrics as something which has certain limitations and one has to work inside them. Unlike poetry lyrics of songs has themes which revolves around the characters in the scripts.The mood,circumstances and background,culture and sociological aspects are what shapes the feel of the lyrics.One has to become the voice of the character and speak in his/her language. Poetry on the other hand for him is a statement of what Gulzar sahab feels about Life. 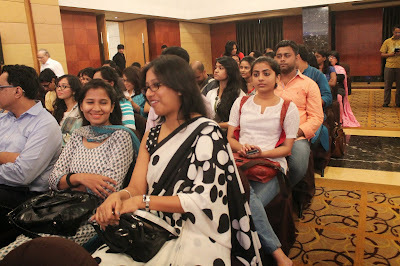 The session ended with Pritha asking what all felt was the need of the hour, the need to preserve our past.She shared an incident where during her research for the magazine's Travelling with Spirits story on Lost narratives she had witnessed Ghalib's house kept in poor conditions in Delhi and it had raised many questions. 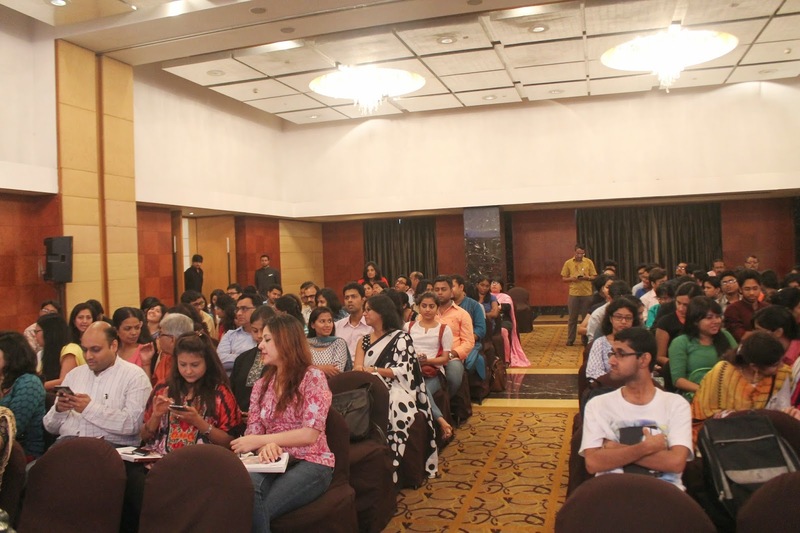 Questions on how do we keep the heritage, the legacy and legends such as them and Gulzar alive and preserved in our present times? How do we overcome the loss? will there be a sense of Loss if future generations do not remember them at all? All it took was a step to preserve it.As Gulzar stated that the present generation and the generations to come is comprised of honest people and youths.they are transparent, they can fight, they have courage to stand for the right things. "Now I ask the present generation to hold my hand and show me the way like I did when you were young"
One has to preserve the passion to preserve the person. that universe is all powerful and we are there to hold it together. 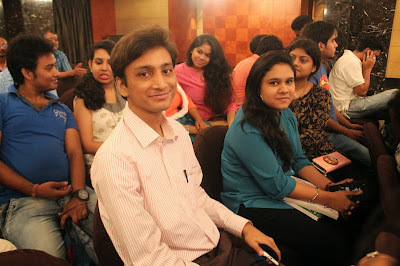 Being bookworms congratulates the entire team of Kindle Magazine for holding such an event and giving us a memory to be remembered. We wish them all the success as they take their journey further and bring to the forefront the various shades of life.